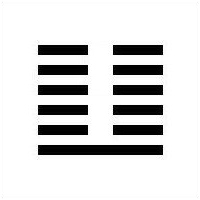 Once again i asked a question of the I Ching. Once again it gave me the same answer twice. This time, both readings resulted in the 24th hexagram, Fú. The Turning Point..
Its represented by the earth and thunder. I like it. 12 and now 24. whats next, 21 and 42? oh.. wait……those have been here for a long time.